Discover our full range of SAW duplexer products here and use our product search to find the exact SAW duplexer you need. Our highlighted key SAW duplexer products are chosen for their combination of highly competitive commercial pricing and large range of developed frequencies and specifications. For more information on our key product range you can contact our expert advisers here. The TF0035A SAW duplexer is no longer recommended for new designs. Instead please consider the TF0123A SAW Duplexer as an alternative product within a smaller 1.8 x 1.4mm surface mount package, or speak to our team today by calling +44 1460 256 100 for more information on this update. The TF0036A SAW duplexer has transmit centre frequency (Tx) of 836MHz and receive centre frequency (Rx) of 881MHz and bandwidth of 25MHz. 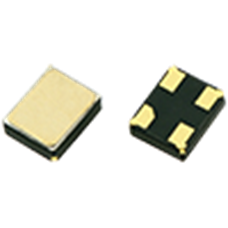 Encased within a miniature 3.8 x 3.8mm surface mount package, the TF0035A is recommended for WCDMA applications. Ideal for wireless communication applications, our TF0049A miniature SAW duplexer has transmit centre frequency (Tx) of 902MHz and receive centre frequency (Rx) of 947MHz, with bandwidth of 25MHz. The TF0060A SAW duplexer has transmit centre frequency (Tx) of 1880MHz and receive centre frequency (Rx) of 1960MHz and bandwidth of 59MHz. Encased within an ultra-miniature 2.0 x 1.6mm surface mount package, the TF0060A is recommended for 4G LTE band 2 applications. The TF0061A SAW duplexer has transmit centre frequency (Tx) of 2535MHz and receive centre frequency (Rx) of 2655MHz and bandwidth of 70MHz. Encased within an ultra-miniature 2.0 x 1.6mm surface mount package, the TF0061A is recommended for 4G LTE band 7 applications. The TF0068A SAW duplexer has transmit centre frequency (Tx) of 1880MHz and receive centre frequency (Rx) of 1960MHz and bandwidth of 60MHz. Encased within an ultra-miniature 3.8 x 3.8mm surface mount package, the TF0068A is recommended for 4G LTE band 2 applications. The TF0070A SAW duplexer has transmit centre frequency (Tx) of 1732MHz and receive centre frequency (Rx) of 2132MHz and bandwidth of 45MHz. Encased within an miniature 3.8 x 3.8mm surface mount package, the TF0070A is recommended for 4G LTE band 4 applications. The TF0071A SAW duplexer has transmit centre frequency (Tx) of 836MHz and receive centre frequency (Rx) of 881MHz and bandwidth of 25MHz. Encased within a miniature 3.8 x 3.8mm surface mount package, the TF0071A is recommended for 4G LTE band 5 applications. The TF0072A SAW duplexer has transmit centre frequency (Tx) of 836MHz and receive centre frequency (Rx) of 881MHz and bandwidth of 25MHz. Encased within a miniature 3.8 x 3.8mm surface mount package, the TF0071A is recommended for 4G LTE band 5 applications. Our TF0075A miniature SAW duplexer has transmit centre frequency (Tx) of 707MHz and receive centre frequency (Rx) of 737MHz. 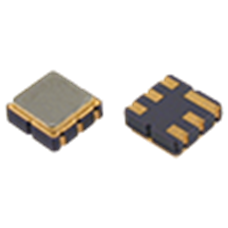 With bandwidth of 18MHz, the TF0075A comes encased within an ultra-miniauture 3.8 x 3.8mm surface mount package and is available with AEC-Q200 qualification on request. Our TF0076A miniature SAW duplexer has transmit centre frequency (Tx) of 707MHz and receive centre frequency (Rx) of 737MHz. 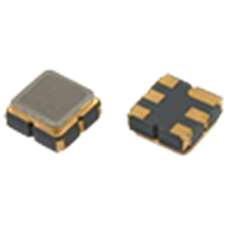 With bandwidth of 18MHz, the TF0076A comes encased within an ultra-miniauture 3.8 x 3.8mm surface mount package and is available with AEC-Q200 qualification on request. Ideal for 4G LTE band 4 applications, the TF0087A ultra-miniature SAW duplexer has transmit centre frequency (Tx) of 1732MHz and receive centre frequency (Rx) of 2132MHz, with bandwidth of 45MHz. Ideal for 4G LTE band 1 applications, the TF0088A ultra-miniature SAW duplexer has transmit centre frequency (Tx) of 1950MHz and receive centre frequency (Rx) of 2140MHz, with wide bandwidth of 60MHz. Our TF0089A ultra-miniature SAW duplexer has transmit centre frequency (Tx) of 836MHz and receive centre frequency (Rx) of 881MHz. With bandwidth of 25MHz, the TF0089A comes encased within an ultra-miniauture 2.0 x 1.6mm surface mount package and is ideal for 4G LTE band 5 & 6 applications. Our TF0090A ultra-miniature SAW duplexer has transmit centre frequency (Tx) of 782MHz and receive centre frequency (Rx) of 751MHz. With narrow bandwidth of 10MHz, the TF0090A comes encased within an ultra-miniature 2.0 x 1.6mm surface mount package and is ideal for 4G LTE band 13 applications. Our TF0091A ultra-miniature SAW duplexer has transmit centre frequency (Tx) of 782MHz and receive centre frequency (Rx) of 751MHz. With narrow bandwidth of 10MHz, the TF0091A comes encased within an ultra-miniature 2.0 x 1.6mm surface mount package and is ideal for 4G LTE band 13 applications. Our TF0092A ultra-miniature SAW duplexer has transmit centre frequency (Tx) of 710MHz and receive centre frequency (Rx) of 740MHz.Tthe TF0092A comes encased within an ultra-miniature 2.0 x 1.6mm surface mount package and is ideal for 4G LTE band 17 applications. The TF0093A SAW duplexer has transmit centre frequency (Tx) of 897.5MHz and receive centre frequency (Rx) of 942.5MHz. Encased within an ultra-miniature 2.0 x 1.6mm surface mount package, the TF0093A is recommended for 4G LTE band 8 applications. The TF0095A SAW duplexer has transmit centre frequency (Tx) of 836.5MHz and receive centre frequency (Rx) of 881.5MHz. Encased within an ultra-miniature 2.0 x 1.6mm surface mount package, the TF0095A is recommended for 4G LTE band 5 & 6 applications. The TF0096A SAW duplexer has transmit centre frequency (Tx) of 313.15MHz and receive centre frequency (Rx) of 314.0MHz. Encased within a miniature 3.8 x 3.8mm surface mount package, the TF0096A is recommended for automotive applications. Ideal for automotive applications, our TF0097A miniature SAW duplexer has transmit centre frequency (Tx) of 433.20MHz and receive centre frequency (Rx) of 44.640MHz, and miniature package of 3.8 x 3.8mm. Our TF0102A ultra-miniature SAW duplexer has transmit centre frequency (Tx) of 1575.42MHz and receive centre frequency (Rx) of 2332.5MHz. The TF0102A also comes encased within an ultra-miniauture 3.0 x 3.0mm surface mount package and is ideal for GPS or SDARS applications. The TF0103A SAW duplexer has transmit centre frequency (Tx) of 1880.0MHz and receive centre frequency (Rx) of 1960.0MHz. Encased within an ultra-miniature 2.0 x 1.6mm surface mount package, the TF0103A is recommended for 4G LTE band 2 applications. Our TF0104A ultra-miniature SAW duplexer has transmit centre frequency (Tx) of 1950MHz and receive centre frequency (Rx) of 2140MHz. The TF0104A comes encased within an ultra-miniauture 2.0 x 1.6mm surface mount package and is ideal for 4G LTE band 1 applications. The TF0105A SAW duplexer has transmit centre frequency (Tx) of 1880MHz and receive centre frequency (Rx) of 1960MHz. Encased within an ultra-miniature 2.0 x 1.6mm surface mount package, the TF0105A is recommended for 4G LTE band 2 applications.